12 years ago I was staying my last day / night at my parents’ house as a single person. I was very excited and possibly a little bit nervous. 12 years ago tomorrow I married my best friend. 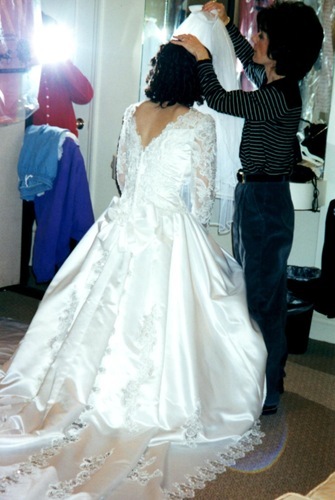 I have shared a few pictures from the wedding before on the blog, but for today’s Flashback Feature I’m sharing a few more. 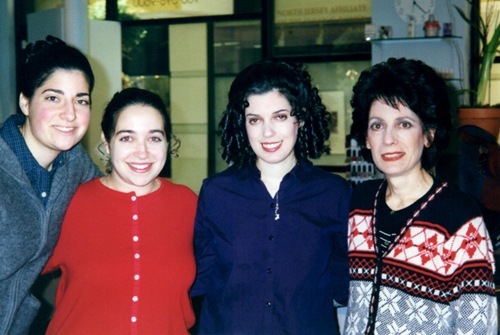 My bridesmaids, me, and my mom after having our hair and makeup done. My mom attaching my veil to my head. 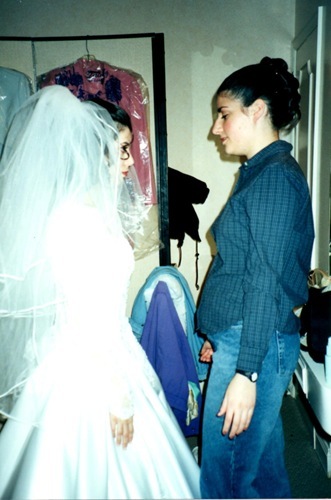 I call this one “pep talk.” I was really worried about the veil staying on. 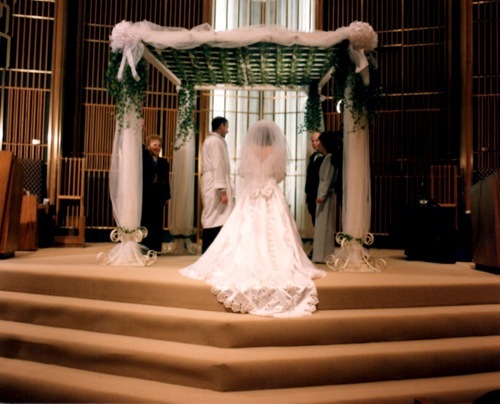 Under the chuppah with our parents looking on. Entering our reception as a married couple! 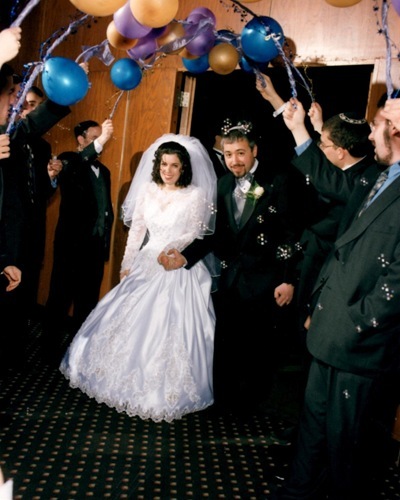 We always said our wedding was our favorite wedding we had ever been to and I still love seeing the pictures of us and all of our friends having a great time. My kids sometimes watch our wedding video and it makes me happy and sad at the same time to see how young everyone was. There are some people who were at our wedding who have passed away, and as always we miss them. Come back tomorrow for more reflections on the past 12 years!